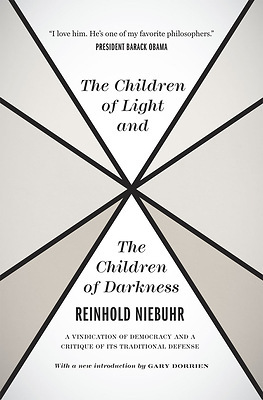 The Children of Light and the Children of Darkness, first published in 1944, is considered one of the most profound and relevant works by the influential theologian Reinhold Niebuhr, and certainly the fullest statement of his political philosophy. Written and first read during the prolonged, tragic world war between totalitarian and democratic forces, Niebuhr's book took up the timely question of how democracy as a political system could best be defended. Most proponents of democracy, Niebuhr claimed, were "children of light," who had optimistic but naive ideas about how society could be rid of evil and governed by enlightened reason. They needed, he believed, to absorb some of the wisdom and strength of the "children of darkness," whose ruthless cynicism and corrupt, anti-democratic politics should otherwise be repudiated. He argued for a prudent, liberal understanding of human society that took the measure of every group's self-interest and was chastened by a realistic understanding of the limits of power. It is in the foreword to this book that he wrote, "Man's capacity for justice makes democracy possible; but man's inclination to injustice makes democracy necessary. "This edition includes a new introduction by the theologian and Niebuhr scholar Gary Dorrien in which he elucidates the work's significance and places it firmly into the arc of Niebuhr's career.